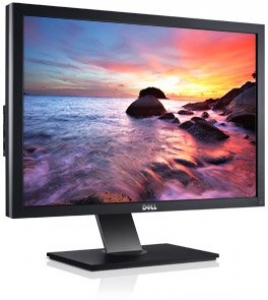 I bought a Dell Ultra Sharp U3011 30 inches monitor for my office. Previously I was having Dell U2711 which was also good, but I required better image quality. I invested in it because I needed a good product for video and photo editing job. After using it for around five months, I can say that I am thrilled and ecstatic for what it has offered me. a resolution of 2560 x 1600 which is great for my professional work. This Dell monitor boasts of good colour gamut. Further I can easily calibrate the colour without any problems. In all, what I get is good quality image. The connection options available with it is huge. There is USB, separate port for speaker, DVI-D and HDMI, among others. Is there any need of so many connection options for a professional monitor? I will say, yes. At least for me, the availability of wide connectivity options ease my work and lead to a convenient handling of work with less clutter. I noticed is the weight. It is quite light. I can’t recall the exact measurement of weight, but still it is better than my previous Dell monitor. Further, the heat produced by this monitor is quite low. With less heat emission, I can work for longer duration without any discomfort. I should note here that the monitor bezel is made of lightweight plastic. It definitely helps in controlling the weight of the device, but it doesn’t look good. Apart from this, I wish Dell would have thought a bit about the start up time which is a bit high than what I had expected.